Last time we covered WhatsApp. This week, we’re talking about another Facebook property: Messenger. Key Functionalities: Send and receive text, audio, video messages. Groups of up to 150. Audio and video calling. GIF search, mobile payments, emoji and stickers. Sources contact list and integrates directly with Facebook app. Pros: Rides on the back of Facebook, which is used by more than a billion people, according to Facebook. Just like with WhatsApp, many phones come pre-loaded with Messenger. Features like GIF search adds flavor to conversations and the secret basketball and chess games are hidden gems. Payments open up major possibilities. Accessible via web browser. Cons: What happened to Facebook private messages? 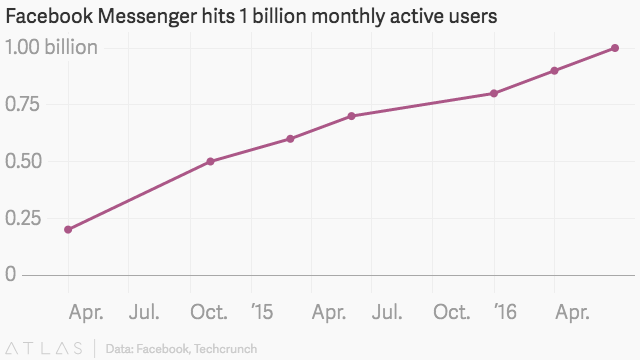 Facebook and Messenger used to be one app—now they are two. This distinction is confusing a lot of people. Feature overload? Is development of the app happening too quickly? We recommend viewing in full screen and HD quality. Facebook Messenger has very rapidly become one of the most popular messaging apps in the world. For international development practitioners, the app presents significant opportunities in community outreach via groups and networked communication. This is the beast we know from our experience with WhatsApp and even short message services. What we’re less sure about is what to do with chatbots. While they do present major opportunities to provide and gather information from people—and help them order products—there aren’t yet any significant examples of major commercial successes with chatbots outside of China. That being said, in low-bandwidth environments, the ability to access databases of information with relatively little data transfer has the potential to be game changing. The only question is: will anyone care? Adam: Impressive, but did they have a choice? 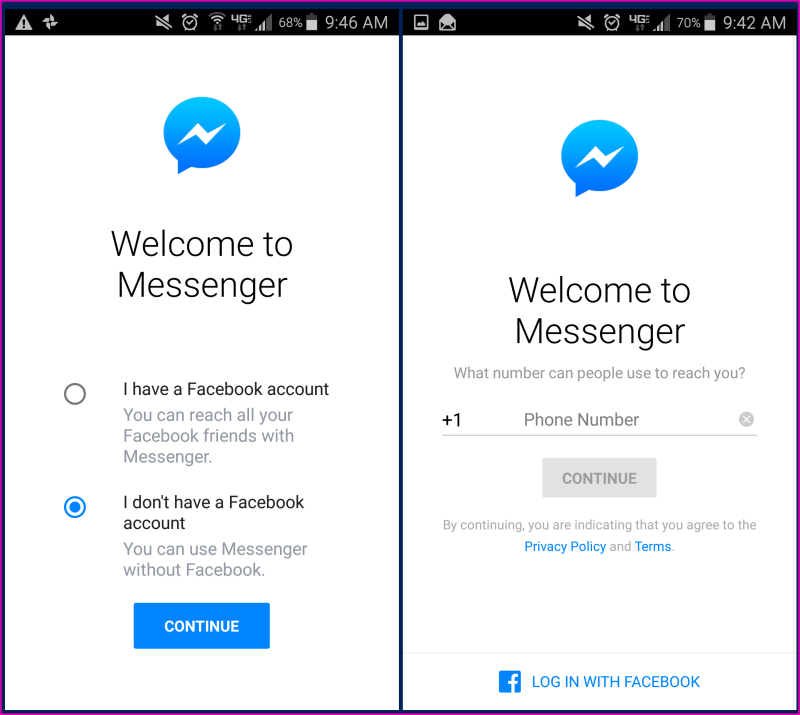 Facebook rolled out Messenger like a hostile takeover of its own private messaging feature. John: Maybe not, but either way it’s pretty impressive to have a billion people using your app. Adam: So the app is popular, we know that. What about the features? Adam: Beyond the text/voice/video messaging and live calling, which are now pretty much standard with all of these apps, what’s different about Messenger? John: The secret games and GIF search are top notch. John: That being said, with the rush of new features though it sort of feels like Facebook is in some kind of panic mode with everyone supposedly leaving the main site for these private messaging apps. Adam: So they just hauled off and made their own. John: And it’s no coincidence that young people are sharing less and less on their Facebook walls. John: Apparently our generation’s social media faux pas have been noted, and duly so. Adam: Just don’t Google “pants” “fire” and “cheese” together. Please. Adam: But seriously folks, it’s noteworthy that Facebook is following the trend here, not setting it. John: And did you know that you don’t even need a Facebook account to use Messenger. John: BUT I THOUGHT FACEBOOK WAS THE CENTER OF THE UNIVERSE, WHAT IS HAPPENING!? Adam: It’s like the original Facebook is now regressing into MySpace status. Adam: Still, one area where Facebook is leading is in the introduction of chatbots. John: Oh, you mean auto-response text menus straight out of 1994? John: You can reserve a flight on KLM through Messenger and hail a Lyft, among other things. Adam: Yeah, CNN has a chatbot that sends you the top headlines every day, and provides a pre-selected set of responses to deepen the interaction. It’s pretty good, but I’d rather just go to CNN.com at this stage. John: Right, I suppose we’ll know that we’ve crossed the Rubicon with chatbots when they can actually understand what we’re saying. John: And maybe more importantly, what we’re not saying. Adam: From an international development standpoint, chatbots do present some big opportunities. Adam: Guide users through the process of inputting information to elicit a customized response. Adam: Be that more information or placing and order for a product. Adam: This is very exciting from a business standpoint. John: Yeah, and don’t forget that chatbots are a proven model. China has been using WeChat chat apps for commerce for a few years now. John: Zuckerberg sees this as a natural progression of online shopping that will hit the United States because it already has a proven design. Adam: It’ll be interesting see if that happens. John: Little-known fact: China had huge public bike-sharing systems before they started popping up in cities here. Adam: Little-known fact: I’m two points up on you in Messenger basketball.